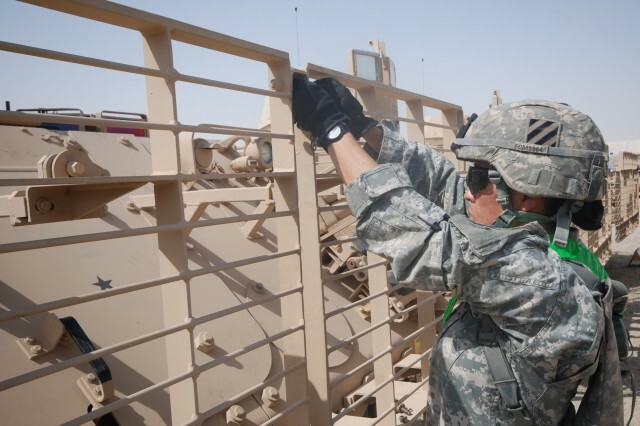 CAMP ARIFJAN, Kuwait -- The 402nd Army Field Support Brigade issued equipment from the Army Prepositioned Stock 5 to the 3rd Brigade Combat Team, 3rd Infantry Division, in preparation for its role in the U.S. Army Central Command's, Operation Spartan Shield in June. "Our sole purpose today is to do everything we can to make sure you have an effective and efficient draw and that you are comfortable signing for every piece of equipment that you are going to get today, " said Lt. Col. Kenneth Gill, the Kuwait Battalion commander, 402nd AFSB, as his unit prepared to begin the issue of equipment. 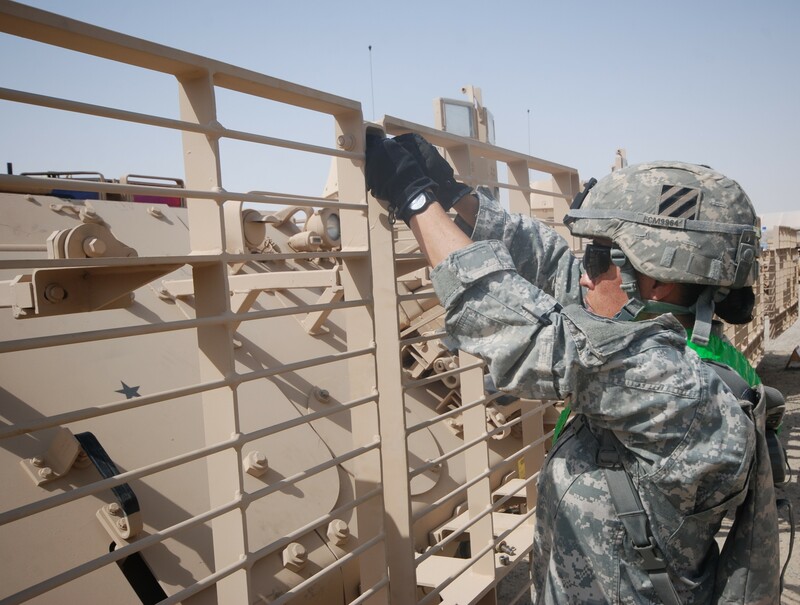 The APS-5 equipment is maintained by the 402nd AFSB's battalion in Kuwait to meet unit requirements in the Southwest Asia Theater of Operations. Every step in the 3rd BCT-3rd Inf Div draw of APS-5 equipment was rehearsed by the Kuwait Battalion prior to the draw to ensure a smooth, seamless operation that kept the receiving unit on their allotted timeline. The Kuwait Battalion also conducted a detailed preliminary briefing with the 3rd BCT leadership to explain the processes and safety procedures. In the preliminary briefing the unit leadership learned about the entire draw process including the handling and operation of the equipment, the level of inspection required and special safety considerations. After the briefing, the 3rd BCT leaders were provided a tour of the Kuwait Battalion's equipment storage lots and the warehouses where the equipment they were to draw would be staged. The hot sun of Camp Arifjan was of special concern due to the impact of the intense desert heat on the newly arriving brigade Soldiers. Special emphasis was given in the briefing to the need for everyone to continously drink water and to wear their safety equipment to include gloves because of hot sun's effect on the metal surfaces of the equipment being issued. Kuwait Battalion military personnel, Department of Army Civilians and contractor personnel were available to answer questions for the brigade leaders throughout the equipment draw. In preparation for the effort, the Kuwait Battalion ensured all the equipment identified for issue was laid out for each unit to inspect. Everything on the unit's requirement lists from tools to tanks was ready for the unit to inspect and sign for. In keeping with its reputation, the Kuwait Battalion provided all the required equipment, in excellent condition and in sync with the units established draw timeline. Following the successful APS-5 draw, the brigade conducted a Relief in Place and Transition of Authority ceremony with 1st Cavalry Regiment, 1st Cavalry Division, at Camp Buehring, Kuwait allowing the Cavalry unit to prepare for redeployment as the mission was assumed by the incoming 3rd Inf Div's brigade.